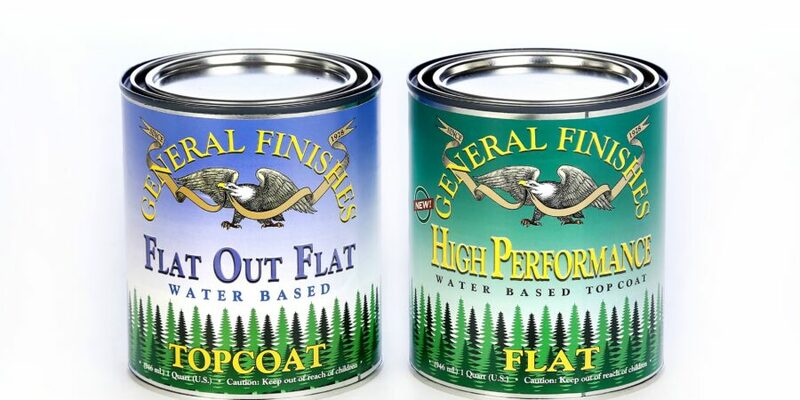 The first attraction to General Finishes Top Coats was the sheen choices, specifically FLAT. Until I heard about it, I was stuck in satin sheen land and not loving it. 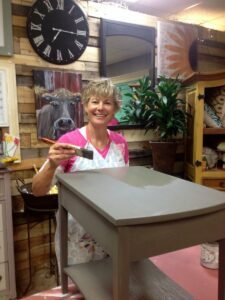 The main attraction of painted furniture is the matte look of chalk paint. Using wax was the only other option to get that non-shiny look and I do not like applying it at all! No more searching for the right topcoat to use on my painted furniture. GF Flat is the only product I buy now. It meets everything on my wish list, just sayin’. My experience with over-the-counter brands was very hopeful to start but turned into disappointment over time. Min-wax Polycrylic only comes in satin but even so, its wet edge over chalk paint is super short, meaning significant stroke marks were left behind. 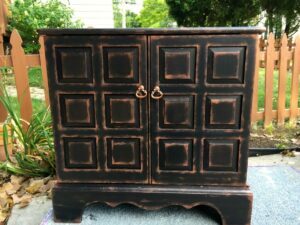 I fought those things trying everything I could think of to minimize them and still not liking the sheen, so I tried the next product that came out; Rust-o-leum Chalked Top Coat. 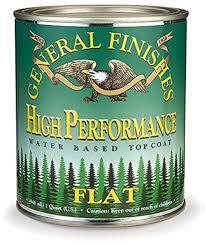 Again, an over-the-counter product saves money so I was excited it came in Flat finish! Super hopeful again thinking I had found top coat mecca until I used it on a piece with lots of edges and detail. I wish I had a picture of the horrifying white foam that looked the spit that developed in the corners. The brush movement in corners and edges caused the product to foam up like meringue. I got rid of most of it but some remained looking like spit after it dried. The only thing that saved me was having a black piece and using a black marker to cover the white spit. Ug, never again. A friend recommended Gator Hide by Dixie Belle but before I could try it, she recanted the advise. It is a terrific product for durability, but it applies thick and hard to work with, thick and thin areas. I’ve also used Country Chalk Defender of which I have nothing bad to say except it is difficult to locate for purchase.